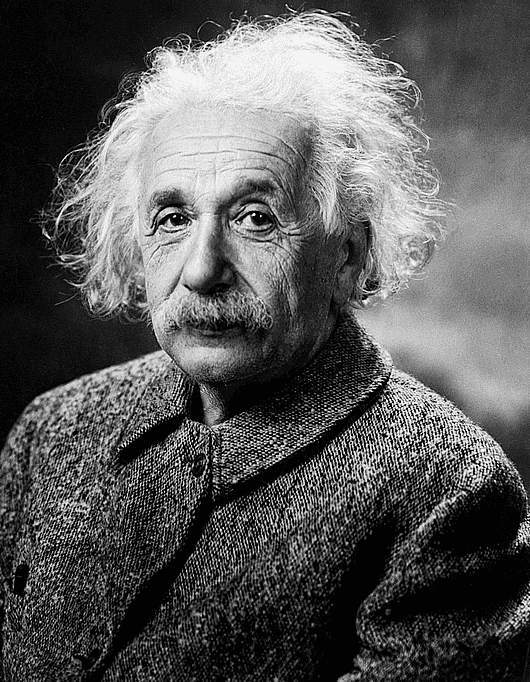 Albert Einstein is one of the most famous scientists of the modern age. His theories have revolutionized the way that space, time and physics are perceived. He also had a very recognizable appearance because of his wild hair and thick mustache. 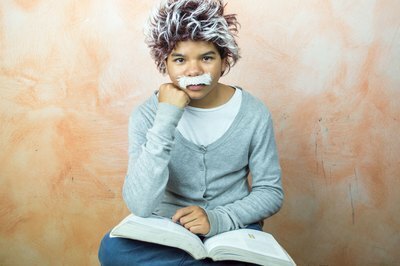 An Albert Einstein costume is an easy one to make, mostly out of clothes you can find at home or at a thrift store. Put on a rumpled pair of slacks and a sweater. If you want, you can also add a white lab coat over the sweater. Put on a wild white-gray wig. 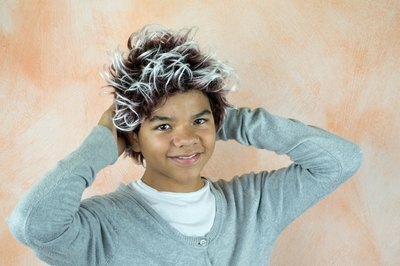 There are many specific Einstein wigs available for purchase, but as long as the hair is the right color and slightly shaggy, any wig will work. Apply a coat of spirit gum adhesive to your upper lip. Follow the directions on the product for application. Tap the spirit gum with your finger until it gets tacky. Press a fake mustache into the spirit gum to adhere it. The mustache should be bushy and white-gray in color.